From May, those selling on eBay will not be able to leave unfavourable or neutral messages about buyers. The move, which will affect users worldwide, has angered many sellers. Sellers say it will leave them unprotected. 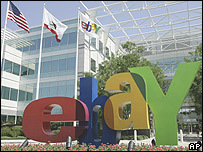 The feedback forum was introduced by Ebay founder Pierre Omidyar in February 1996. In a message then, he said: "By creating an open market that encourages honest dealings, I hope to make it easier to conduct business with strangers over the net. "Now, we have an open forum. Use it. Make your complaints in the open. "Better yet, give your praise in the open. Let everyone know what a joy it was to deal with someone. Above all, conduct yourself in a professional manner." Critics of the changes argue that by taking away a seller's right to complain about a problem buyer they will have very little recourse for action when a sale goes wrong. And they complain that by still allowing buyers to leave dissenting comments about sellers, eBay has skewed the whole trading process. When both sides have equal access and rights to leave negative comments about each other it is a well balanced trading process, they say. However, eBay counters that problem buyers can still be dealt with. "If a buyer doesn't pay, the seller can easily contact eBay, we will review any complaint and maybe remove the buyer," a spokesman said. The changes aim to "improve the overall customer experience", eBay said. It added that many buyers would not leave negative comments for fear that sellers would retaliate. As a result, buyers and sellers may not get a fair picture of what is actually happening between trading parties. It maintains that the majority of transactions go "swimmingly". EBay says that only a minority of sellers leave negative feedback for buyers.